Admittedly, much of this is hearsay, but when the New York Times is quoting anonymous Fox News executives about getting Glenn Beck off the airways, we think it’s safe for us to chime in on the topic. Glenn Beck’s contract at Fox News reportedly expires in December of this year, and Fox News is not planning on renewing it. Why? Um, have you ever watched his program? Homeboy is bonkers. Many on the news side of Fox have wondered whether his chronic outrageousness — he suggested that the president has “a deep-seated hatred for white people” — have made it difficult for Fox to hang onto its credibility as a news network. Some 300 advertisers fled the show, leaving sponsorship to a slew of gold bullion marketers whose message dovetails nicely with Mr. Beck’s end-of-times gospel. Both parties go to some lengths to point out that that the discussion has nothing to do with persistent criticism from the left. 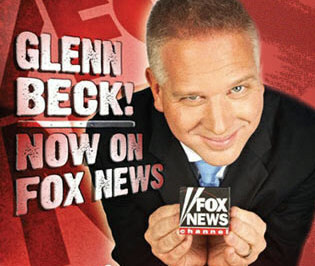 The problem with “Glenn Beck” is that it has turned into a serial doomsday machine that’s a bummer to watch. Part of Mr. Beck’s appeal is that he seems as if he is about to lose his marbles. But recently, he acts like he’s a little tired of the game. He can still draw a huge crowd, but he looks lonely in that studio all by himself. Executives admit that Beck is still trouncing the competition. He pulls in the highest 5 PM ratings the network has ever seen. But after years of Beck warning day in and day out about the end of civilization, viewers are tuning out. Young people aren’t watching the program anymore, and his audience has decreased by a third. Yikes. Even if Beck is off of Fox News, he’ll still be left with his uber-popular radio show and his readership as a best-selling author. So we’d hardly be rid of the guy. Still, I can’t help but look forward a bit to the day that his particular brand of crazy isn’t being shown on television each day. Will you be sad to see Glenn Beck go?